Blanche has been Head of Operations at Institut Montaigne from June 2017 to November 2018. She coordinated all editorial and event activities of Institut Montaigne. She was also in charge of relations with the governance. 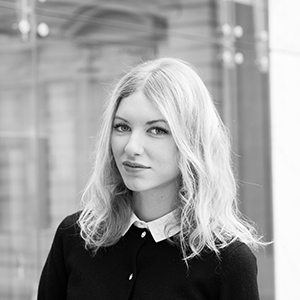 Blanche joined Institut Montaigne in 2015 as Policy Officer. She was actively involved in the analysis of the programs of the 2017 presidential campaign. She also conducted Institut Montaigne’s work on digital technology and its link with tourism and higher education. She also contributed to publishing a report on investment in Sub-Saharan Africa. Blanche holds a Masters degree in Public Affairs from Sciences Po Paris. She also studied classic literature in preparatory school and History at the University College London (UCL).